Home › Hip-hop Shows › Hip-Hop Kemp Festival Coming Soon!! One of the many things that I love about Europe is that they ABSOLUTELY LOVE HIP-HOP!!!! like they REALLY LOVE HIP-HOP they love the beats, the rhymes and the whole culture that surrounds it. 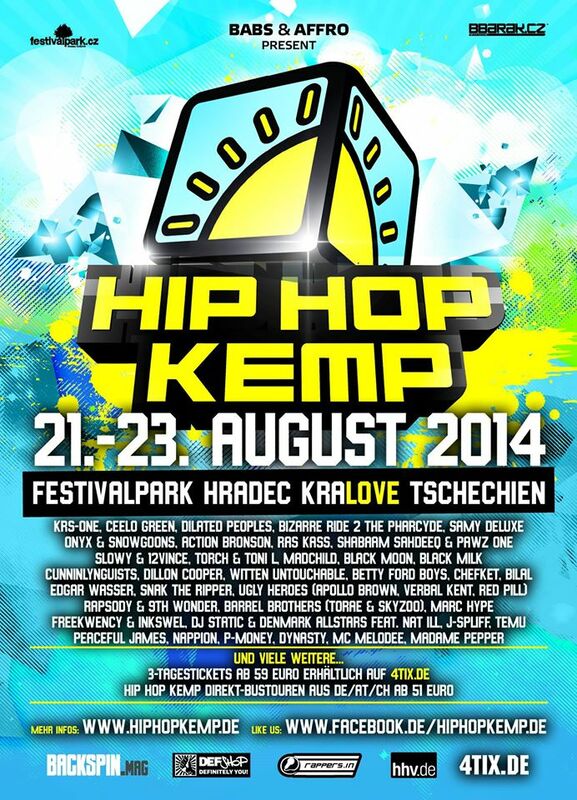 Check out the upcoming Hip-Hop Kemp festival happening on August 21-23rd in Prague, Czech Republic. Shout out to ONYX, RAS KASS and PAWZ ONE!!!! !